Stephen Ratcliffe at line break. Photo by Linda Russo. 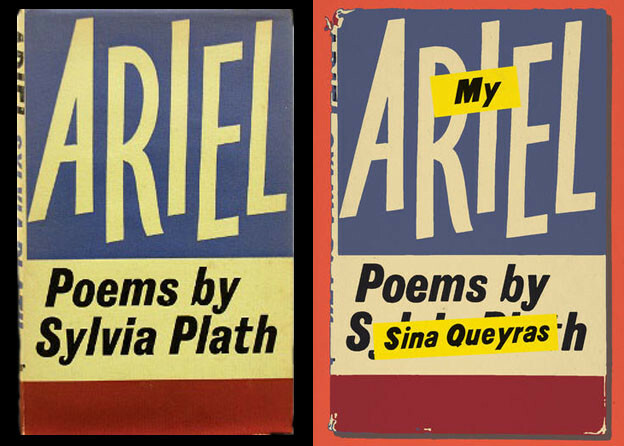 In recent years, a number of artists and poets have developed the gesture of erasing a text and publishing the result of such erasures on the text. Jen Bervin, a poet and an artist in the United States, recently erased parts of The Niagara Book by W. D. Howells, Mark Twain, Nathaniel Shaler, and others, with tippex allowing some of the words of the original text to appear. In his last show at Galerie Laurent Godin in Paris in 2010, Claude Closky has shown pages of a novel over which each word had been crossed out with black pencil except the article “la” whenever it appeared, thus creating a succession of “la,” which read like a hummed tune. The young artist Jérémie Bennequin has engaged in the process of erasing Marcel Proust’s A la recherche du temps perdu: he blots out with a rubber the copies of Gallimard’s edition of Proust’s novel. Three modes of erasure emerge from this quick overview: 1) covering partially or entirely (with stripes or correction fluid) 2) crossing out with pencil 3) rubbing out. Stephen Ratcliffe’s [where late the sweet] BIRDS SANG is a writing through of Shakespeare’s sonnets, which seems to have been partially erased. For each sonnet, only a few words appear where they appeared in Shakespeare’s texts, so that it seems that the rest of Shakespeare’s poem was deleted. They seem to proceed from one of the three modes of erasures given above. Front cover of [where late the sweet] BIRDS SANG. In fact, the gaunt poems derive from a process of selection which is not explained in a preface, a statement, or a blurb at the back of the book but appears instead on the cover of the book, thus making it possible to recover the making of the text: under the title and against a backdrop of faded purple, the couplet of Shakespeare’s Sonnet 73 appears in purple, two words singled out by a white stripe. Below the couplet, a white stripe appears like a scratch or a stripe of tippex. The back cover is even more explicit: Shakespeare’s sonnet appears in its entirety, a few words are singled out by white stripes, and the title, taken from line 4, appears clearly, so that instead of covering the text with white stripes, the purple behind the text seems to have been rubbed out: the text is recovered from a promise of disappearance. Back cover of [where late the sweet] BIRDS SANG. It follows then that Ratcliffe’s poems reverse the modes of erasure described above: while Broodthaers used black stripes to erase Mallarmé’s text to make it even more sculptural on the page, Ratcliffe’s cover — designed by Leslie Scalapino with Ratcliffe’s approval — uses white stripes to select the text and highlight some of Shakespeare’s words. Yet, the text of the book features the selected words only. Unlike Bervin’s, Bennequin’s, or Closky’s projects, the only trace of the palimpsest here lies on the cover, in our memories and in the position of the words on the page. The erasures that the text seems to present are in fact selections. As he explains, Ratcliffe circled or underlined the words in yellow (on the first page only) and pencil (on subsequent pages), but did not erase the rest, as Bervin did with The Niagara Book or Bennequin with Proust’s novel. In the end, much of the text is missing, but the process is different. Shakespeare’s lines were not covered, erased, or blotted out, as the manuscripts that Ratcliffe sent me demonstrate. They testify to the process and gestures of reading, such as penciling a text as one reads it. In other words, the signs left on his manuscripts signal the very movement of these poems, both as traces of the experience of reading and as readings in the making. First page of The Sonnets, underlined by Stephen Ratcliffe. Reprinted with kind permission. Shakespeare’s Sonnet 8, as originally underlined by Stephen Ratcliffe. Reprinted with kind permission. As can be seen on manuscript pages of Shakespeare’s sonnets underlined by Ratcliffe, the process leading to the poem is one which doesn’t entail an abrasive gesture of deletion (Bennequin), or of crossing a text out (Closky), or a gentle albeit definitive and somewhat violent act of applying tippex (Bervin). It should be noted that Jen Bervin’s gestures over textual materials are diverse. While she erased part of the text in Niagara, she partly covered the lines of The Desert with blue thread that she wove on the pages of the eponymous book. Nets, her version of the Shakespearean sonnets, could feel close to Ractliffe’s own version, yet central to the idea of Bervin’s project is that of a palimpsest: Shakespeare’s text is not covered; it is always already there or recovered by Bervin’s manipulations. The creation of a sculpture on the page as well as in the air is Ratcliffe’s very poetics, as he has explained in his poem-essay “The Landscape (Body) of the Poem.” Like Broodthaers’s Un coup de dés, Ratcliffe’s deconstruction heightens the architectural construction of the page, yet the sculpture is disjunctive and, paradoxically, in changing the spatial form of the sonnet, it does not annihilate Shakespeare’s word. This is what our close-reading and close-listening of Ratcliffe’s reinterpretation of Sonnet 130 will show. With his alteration of Sonnet 130, Ratcliffe refrains from seeing Shakespeare’s sonnet as an unalterable classic fixed in its rigid authority. The lines sculpt the page of [where late the sweet] BIRD SANG, allowing the sound of sense to bloom and drift in the explicit non-linearity of its texture. This text is therefore an elliptic and elided Sonnet 130. Ratcliffe’s text could very well be an embodiment of Harold Bloom’s claim in The Anxiety of Influence that poetry is dwindling down to its death, since there seems to be virtually nothing left on the page. Has poetry reached such a point of no return that it can only play with a blank page and a few meaningless, unrelated words? And is Shakespeare’s death so self-evident that the contemporary poet effectively kills Shakespeare’s poetry by way of obliteration, i.e. by an operation that empties the meaning of the formal body of the text while alienating its very soul? Etienne Souriau defines ellipsis as “a lack […] which indicates that one or several words necessary for the perfect regularity of a grammatical construction, have been taken out from a sentence.” Stephen Ratcliffe has done away with most of the texture of Shakespeare’s sonnet, keeping the words where they originally were in the line. This operation, which may be seen as a violent gesture against the sonnets — signaled by the dash at the end of the first line — adds elision to ellipsis. Indeed, in his reading of Sonnet 130, “hairs” (line 4) becomes “air” and “damasked” (line 5) is pared down to “asked.” Moreover, though Ratcliffe’s text keeps the fourteen lines of the original sonnet, its lines are separated by double spacing, which heightens the dispersion-effect of the poem: the sonnet is pulverized on the page. What remains is precisely the trace and delineation of a minimal sonnet. Ratcliffe’s lines are inheritors of Mallarmé’s poetics of the spatial page, as well as direct contemporaries of Larry Eigner’s sculptural texts: by their rarefaction on the line, some of the words and syllables from Shakespeare’s sonnets are left to their vibration, just as our memory sometimes retains a few words from a text and allows them to echo. With the poetics of vibration, the text concentrates on the “breath” of the “mellifluous” voice Meres saw in Shakespeare’s “pleasing sound” (line 10). Indeed, the web of s, z, and w, the incessant echoes in wai, for instance, seem to turn this page into the mountain in the myth of Echo and Narcissus, where the reader/listener is literally lost as he listens to the sounds and the silence which constitute the space of troubled signification. From the lack of words and syntax, from ellipsis and elision, the poem creates a new texture of manifold collisions and interpolations without being able to come to completion. Questions, denoted by “why” and “asked,” are legion and call for a multivocal reading through which “some […] more” is demanded as a response to the reading process underlying the poem. Taken over by the sounds of the text, one must never forget to think about its texture, i.e. comprehend what is heard and what is seen (“saw,” line 11). In “Shakespeare’s Memory,” Borges shows that possessing Shakespeare’s memory is purely and simply impossible, because the minute the narrator, or anyone, inherits it, he is a split subject with two memories, where the one blocks the other. The Faustian pact of wishing to know all of Shakespeare and be the voice of Shakespeare’s memory soon leads the main protagonist and narrator to wish to empty himself of “Shakespeare’s memory” and pass it on to someone else. What Ratcliffe’s text suggests is that the desire for Shakespeare does not mean that one should try to speak for Shakespeare, but to try to allow Shakespeare’s text to be reread in the present (“air / here/ […] / now”) through a dialogue with his text, or portions thereof. It prompts us to read Sonnet 130 as an acoustic architecture as well as a drawing. It also asks that we account for the making of our reading. 2. Marcel Broodthaers, Un coup de dés jamais n’abolira le hasard (Antwerp: Galerie Wide White Space, 1969). 3. Benjamin Buchlow, “Lettres ouvertes, poèmes industriels,” in Broodthaers (Paris: Galerie Nationale du Jeu de Paume, 1992), 30. 4. Stephen Ratcliffe, [where late the sweet]BIRDS SANG (Oakland: O Books, 1989). See also William Shakespeare, The Sonnets, ed. Katherine Duncan-Jones (The Arden Shakespeare, 1997). The term “writing through” refers to John Cage, whose texts are of importance to Ratcliffe. Yet Ratcliffe’s writing through is not governed by chance operations. 5. See my analysis of the temporal dimensions of Nets at the very end of my article “Living-with Shakespeare? (Three American Experimental Poets’ Compositions with Shakespeare’s Sonnet 130),” Transatlantica 1/2010 (13 October 2010). 6. Ratcliffe’s first selection differs from the final poem; see the image above of Ratcliffe’s underlined manuscript page. 8. First, Ratcliffe is a poet who pays extreme care to sounds. His theory of being attentive to the sounds and the shapes of writing is fully articulated in his book of essays Listening to Reading (Albany: State University of New York Press, 2000). Moreover, he wrote his doctoral dissertation on Thomas Campion and is fully versed in the language spoken and written by authors and composers of the sixteenth and seventeenth centuries. Finally, Ratcliffe published a Shakespeare book (Reading the Unseen: (Offstage) Hamlet, Counterpath Press, 2009) about minimal off-stage action. 9. Stephen Ratcliffe, “The Landscape (Body) of the Poem,” in Listening to Reading, 191–193. 10. Harold Bloom, The Anxiety of Influence (Oxford: Oxford University Press, 1997). 11. Etienne Souriau, Vocabulaire d’esthétique (Paris: PUF, 1990), 649–650. 12. Jacques Derrida, Specters of Marx: The State of the Debt, the Work of Mourning, and the New International, trans. Peggy Kamuf (London: Routledge, 1994), 69. 13. Paul Valéry, Œuvres, vol. 2, ed. Jean Hytier (Paris: Gallimard, 1960), 603. 14. Jorge Luis Borges, “Shakespeare’s Memory” (1983), The Book of Sand and Shakespeare’s Memory (London: Penguin Books, 1998), 122–131.